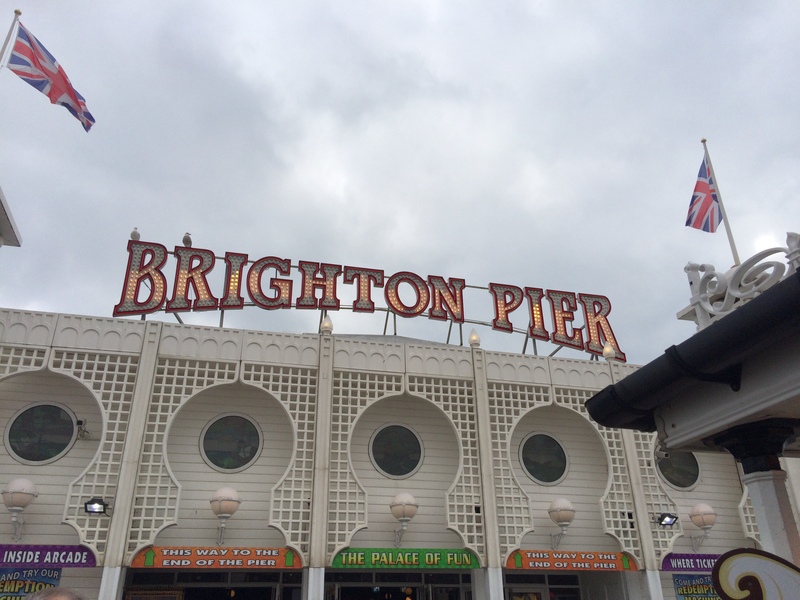 We’ve just been enjoying a beautiful long bank holiday weekend for the Easter break and I spent my time down in Brighton with my family. A stroll along the pier, a few slot machine played, toy planes won and plenty of laughter and cake. 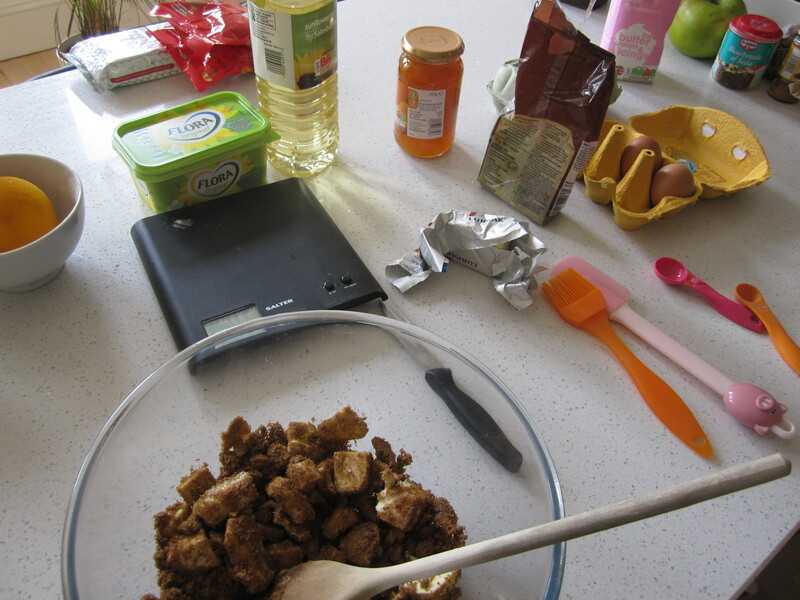 Mum and I spent the Easter Sunday baking up a storm which included my Nanny’s Simnel Cake. I had never made one before and find that surprising for my love of marzipan. 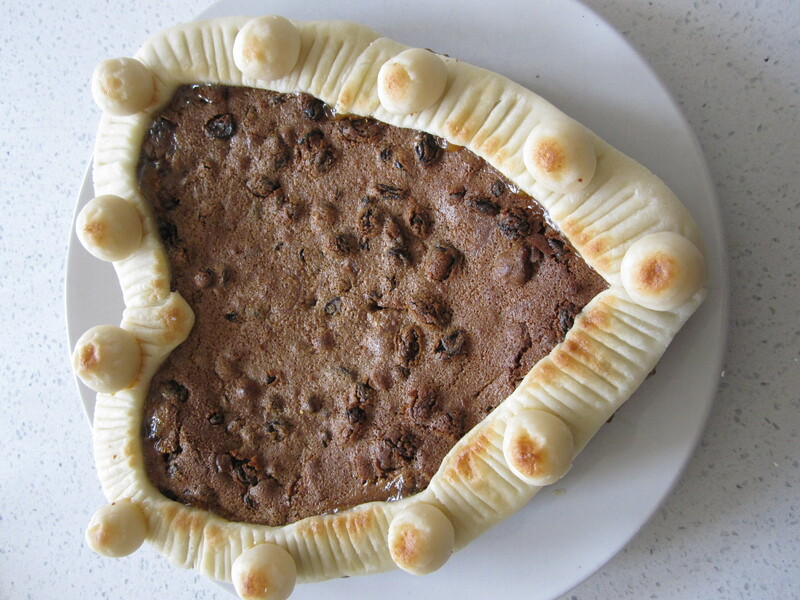 In doing so I found out that my Nanny used to finish her Simnel Cake in the traditional whole topped toasted marzipan and 11 balls but in fact, would make a border on top of the cake with marzipan and balls then flood the middle with a runny icing and top with mini chocolate eggs. After some thought, we came to the conclusion that my Nanny was very smart and it was her way to make the expensive marzipan stretch further to feed 5 children and the rest of the family for Easter Sunday Tea. 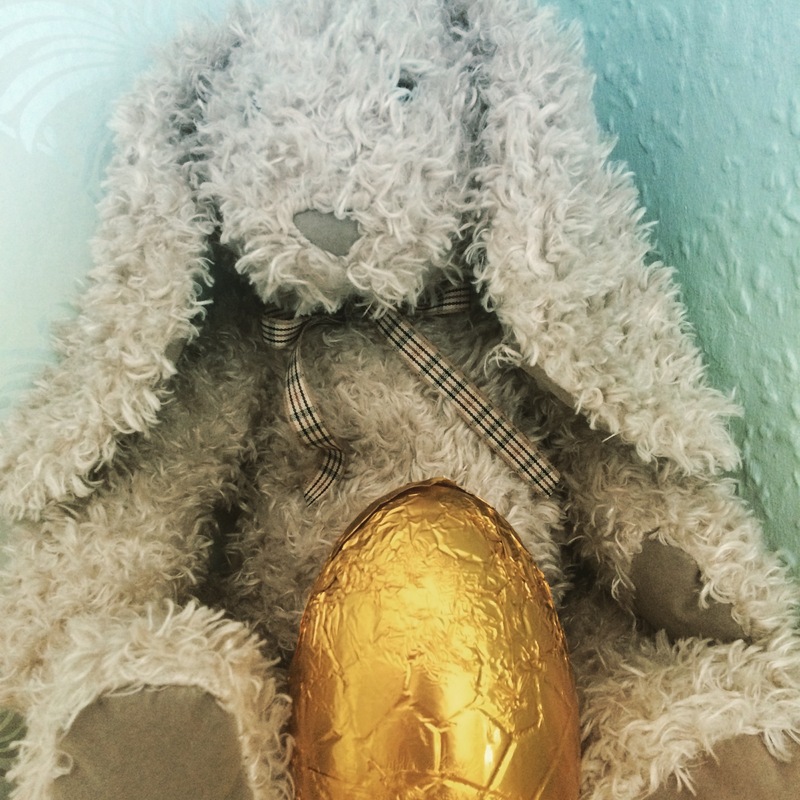 Unfortunately, Brighton was having a mini chocolate egg shortage when we made ours so couldn’t truly finish it as my Nanny would but like to think she would have been happy that we made it her way. My Easter bunny this year, hopefully next year I’ll have a hopping kind! Yes, I like to spread out when cooking! Not completely the most traditional fruits but the dried blueberries plump up and add a nice tartness to the cake. 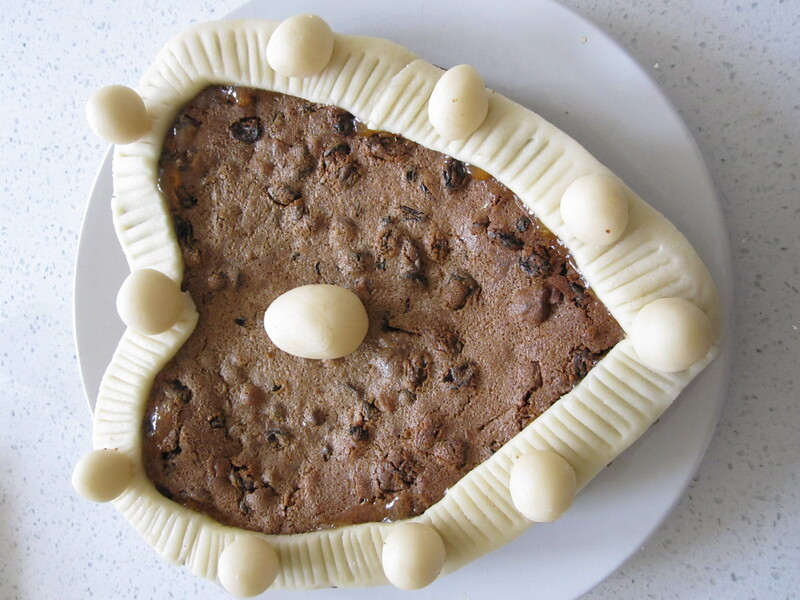 Unfortunately, the shops in Brighton had run out of mini eggs to complete the full Nanny Simnel cake but still tasted great and lovely to make one of her recipes. 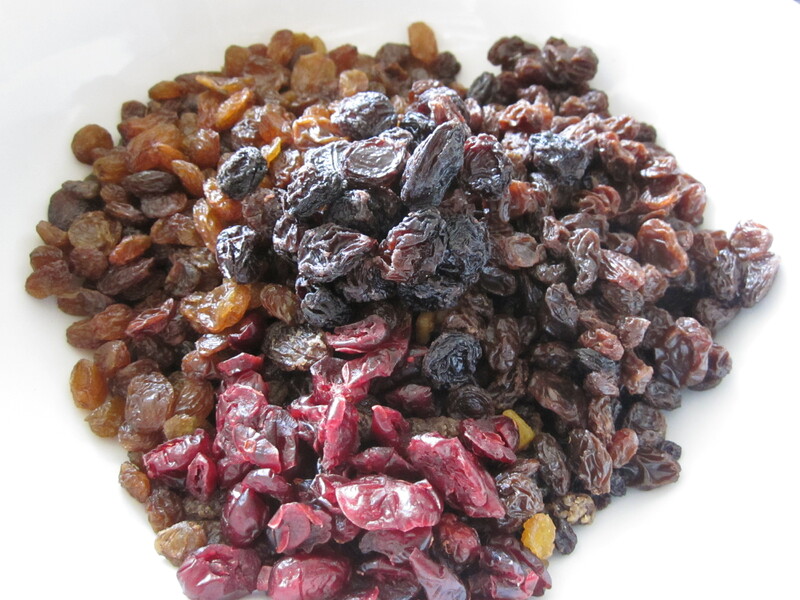 We changed the fruit to include dried blueberries and cranberries which isn’t typically the most traditional! Preheat oven to 140C. Grease and line a 18cm/7in cake tin. Cream the butter and sugar together until pale and fluffy. Gradually beat in the eggs until well incorporated and then sift in the flour, salt and cinnamon a little at a time. Finally, add the mixed dried fruit and grated lemon zest and stir into the mixture. Put half the mixture into the tin. Smooth the top and cover with half the marzipan into a disc. 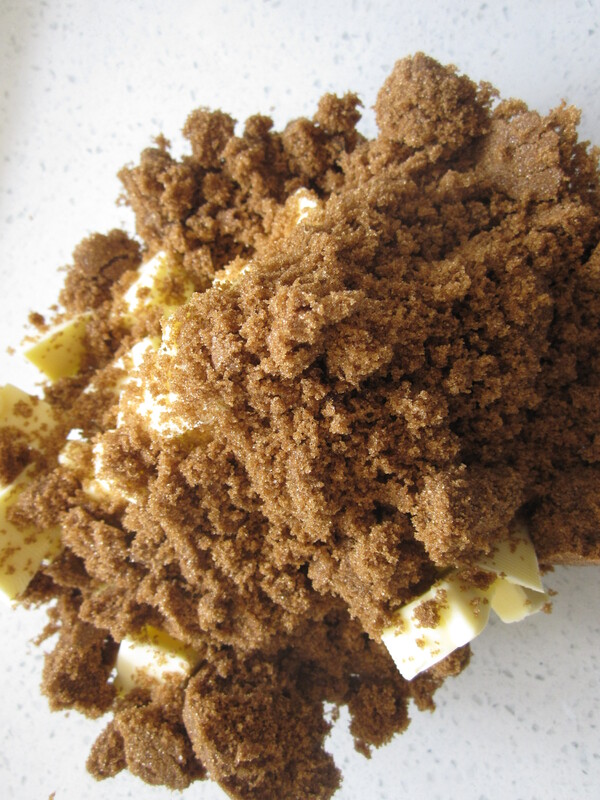 Add the rest of the cake mixture and smooth the top leaving a slight dip in the centre to allow for the cake to rise. Bake in the oven for 1 hour 20 minutes. Once baked, remove from the oven and set aside to cool on a wire rack. Brush the edge of the cooled cake with the apricot jam. Divide the remainder of the marzipan in half; roll out one half and roll out into a sausage shape then flatten and form 11 small balls with the other half. Place the flatten stripes of marzipan on the jam glaze edge and set the balls around the edge. Preheat the grill to high. 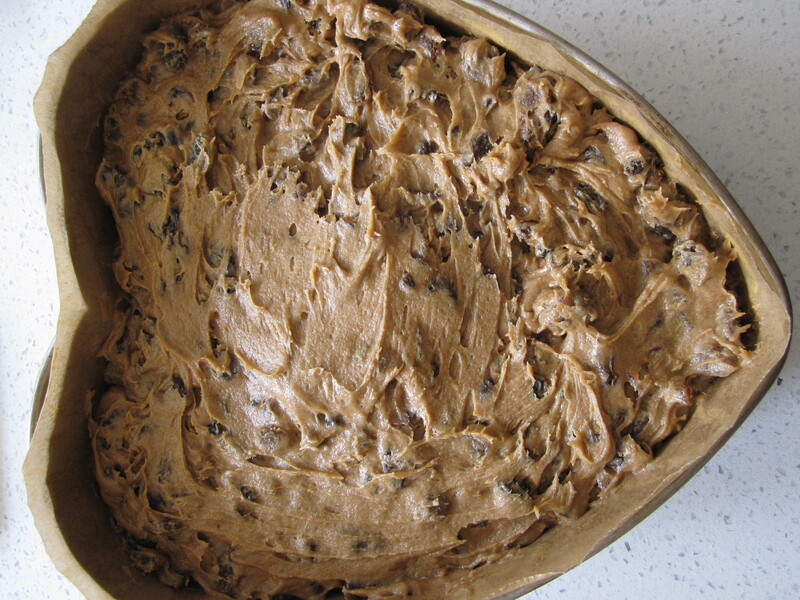 Place the cake on a baking tray and grill for 1-2 minutes, or until the top of the marzipan begins to brown. Alternatively, lightly heat the cake topping using a cook’s blow torch, until the marzipan is golden-brown. To finish the cake like Nanny, make a runny icing with the icing sugar and a splash of water. Flood the middle of the marzipan border with the icing and top with chocolate mini eggs.